Charles Lewis è un giornalista investigativo con sede a Washington DC. E’ fondatore del Center for Public Integrity e tre altre organizzazioni senza scopo di lucro ed è attualmente il direttore esecutivo del Investigative Reporting Workshop presso l’American University School of Communication. Ha lasciato una carriera di successo come produttore investigativo per ABC News e nel programma "60 Minutes" della CBS per fondare nel 1989 il Center for Public Integrity, un gruppo non-partisan che denuncia i comportamenti della politica e di governo. Quando ha iniziato, era da solo e lavorava da casa sua, oggi ha uno staff di 40 persone a tempo pieno. Dal 1989 al 2004, ed è stato premiato più di 30 volte dalle associazioni nazionali di giornalismo; Nel 2004, il PEN USA, gli ha assegnato il primo Premio come "un individuo che ha dimostrato un coraggio eccezionale nel difendere la libertà di espressione negli Stati Uniti e nel 2009, The Encyclopedia of Journalism, ha citato Lewis come uno dei 30 giornalisti investigativi più importanti negli Stati Uniti dalla prima guerra mondiale. Charles Lewis is an investigative journalist based in Washington D.C. He founded the Center for Public Integrity and three other nonprofit organizations and is currently the executive editor of the Investigative Reporting Workshop at the American University School of Communication in D.C. He left a successful career as an investigative producer for ABC News and the CBS news program 60 Minutes and in 1989 began the Center for Public Integrity, a non-partisan group which reports on political and government workings, from his home, growing it to a full time staff of 40 people. When commenting on his move away from prime-time journalism, Lewis expressed his frustration that the most important issues of the day were not being reported. 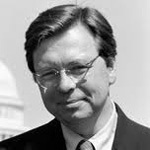 The Center published roughly 300 investigative reports, including 14 books, (including The Buying of the President 2004, Lewis's fifth and last co-authored book with the Center and a New York Times bestseller) from 1989 through 2004, and was honored more than 30 times by national journalism associations. In 1996 the New Yorker called the Center "the center for campaign scoops." That year Lewis and the Center published Fat Cat Hotel, a report which first revealed that the Clinton administration had been rewarding major donors with White House stays in the "Lincoln Bedroom." In 2003, weeks before the U.S. invasion of Iraq, the Center posted secret draft "Patriot II" legislation, and in October posted all of the known U.S. contracts in Iraq and Afghanistan. The report, Windfalls of War first identified that Halliburton had received the most money from those contracts, and won the George Polk Award. In 2008, Lewis created, directed and co-authored "The Iraq War Card," a 380,000-word chronology and analysis of the pre-war public rhetoric by leading members of the Bush administration, which identified 935 "false statements" about the national security threat posed by Saddam Hussein's Iraq. In late 1997 he began the Center for Public Integrity's International Consortium of Investigative Journalists, the world's first working network of 100 premiere reporters in 50 countries, producing content across borders, which made the Center's website the "first global website devoted to international exposés." In 2004, PEN USA, the respected literary organization, awarded its First Amendment Award to him, as "an individual who has demonstrated exceptional courage in defending freedom of expression in the United States by displaying a selfless commitment to the privileges bestowed by the First Amendment." In 2005, Lewis co-founded Global Integrity, an independent, nonprofit organization utilizing journalists and social scientists to track governance and corruption trends around the world. In 2009, The Encyclopedia of Journalism cited Lewis as "one of the 30 most notable investigative reporters in the U.S. since World War I." He was a Ferris Professor at Princeton University in 2005, a Shorenstein Fellow at Harvard University in the spring of 2006 and is currently a Distinguished Journalist in Residence and professor of journalism at American University in Washington, D.C. In the spring of 2008, Lewis, along with fellow American University professor Wendell Cochran, founded the Investigative Reporting Workshop, a project of American University School of Communication. A professional journalism center, the Workshop conducts significant, multimedia investigative journalism projects on a national and international scale and has collaborated with many major media outlets, such as as MSNBC, FRONTLINE, and McClatchy Newspapers. Lewis is currently Executive Editor of the Workshop.